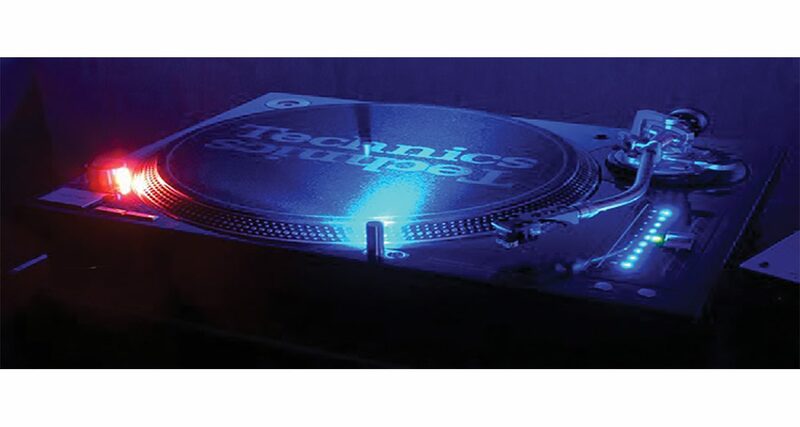 Technics DT1210: Exactly the same form factor as the Technics 1210, but with futuristic blue neon like the Vestax VCI-100 Mk 2. Is this the end of controllerism? Well we didn’t see this one coming. Panasonic, the company behind the recently discontinued Technics SL1210, today announced that it is relaunching its emblematic turntable of the past 30 years… as a digital control surface for all major DJ software, including Traktor, Virtual DJ and Serato. The new DT1210 will look and feel exactly the same as the traditional SL1210, but will have a built-in 24-bit/96kHz sound card and will output either line or phono-level signals, allowing it to be used with all standard DJ mixers. The only giveaway that it is any different at all from the original turntable is the small USB jack on the back, and the fact that it doesn’t have an earth lead – plus its futuristic blue LED pitch control and surface light, similar to the Vestax VCI-100 Mk II DJ controller. 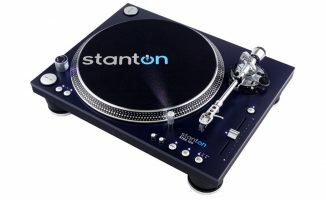 Technical details are still scarce, but it seems a small driver – already built in to Windows, OS X, iOS and Android – allows the new control surface (which apparently has semi-permanently attached control vinyl, a little like the Stanton SCS.1 system) to work “out of the box” with Midi-mappable DJ programs on any of these platform. In a clever twist, you’ll be able to physically turn the control vinyl over, just like turning over a record, for full four track DJing. It even works with djay for iPad, meaning iPad DJs can just roll up and play with no more gear necessary past a pair of headphones. The surprise move will be welcomed by turntable purists, as if it is a success, it means that digital DJing will retain the look and feel of vinyl for the foreseeable future, making the skills that purists feel are being lost immediately relevant again. 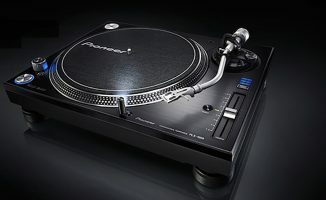 However, it spells trouble for controller and CDJ manufacturers, as it means that the turntable in general and Technics in particular may well regain and keep their throne as “the way DJing is done”, at least in club DJ booths. More when we get it. 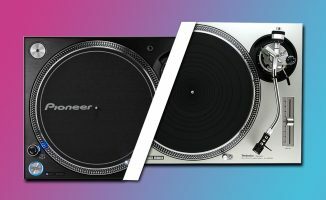 Do you think the new Technics could spell the end of controllerism? Will you be learning on the new digital vinyl system from the turntable experts instead of going down the “button pushing” route? Let us know your thoughts in the comments. if it is an april fools.. it’s a little late! This is an April Fools joke…right? My parachute pants thank you. Still waiting for my vintage cassette controller. Honestly, if this is gonna contribute to the closed-mindedness of the clubs about the equipment you use to DJ I don’t really like the news. It can also be said that this is just a way to pander to the DJs who could never get with the times. I’m not sure how this spells trouble for CDJ and controller manufacturers. Why would anyone give up their controller or CDJs for this, other than some kind of cultural pressure coming from the 90s? I don’t see many people checking out your equipment I just see them dancing to what’s coming out of your speakers. I can’t wait! But do you still need you’re own control vinyl? And can you drop on a normal record? I’ll take your M5Gs no problem. Just now getting up in the DJ game and need the staples! I’ve read so many april’s fools that I would have loved to be true today! And today Moog music launched the polyphonic theremin. Cant wait to see that get the controller treatment. Who wants a full digital portable hardware attachment to use their technics with ITCH? Nice Idea. However, I don’t see the end to controllerism. Controllerism is the future. permanently attached control records = April fools joke… C’mon guys. I have a feeling this is a bit too much of a coincidence to be true. Especially since it’s april fool’s day! For those of you coming to this late, this was an April Fool. Most people weren’t fooled, but some (notably an unnamed member of the Gearjunkies crew) fell hook, line and sinker! Maybe they’ll see the love for the idea and consider it…. We should ask for royalties! Gets my vote if it were true. If this was true i would be pre ordering them now! Why didn’t Technics just make a tasty DJ Controller? 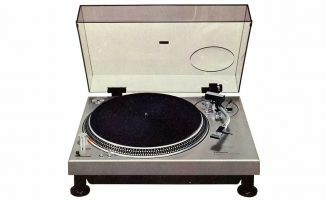 I have had every turntable for DJing that Technics made. I love the fell of vinyl , I have 1200’s that I bought back in 1980. I would buy a pair in a heart beat I’m using serato system with vinyl on a Mac and it sounds great. Going digital wow that would be awesome. Loyal customer since 1977.